Here at VPC Removals and Cleaning we’re one of the leading rubbish removals and cleaning services providers based in Slough, London and Milton Keynes offering rubbish removals services in Slough , Gerrard Cross , Windsor , Langley , Iver , Maidenhead , Beaconsfield , High Wycombe , Woking , Reading , Bracknell , Ascot , Sunbury , Watford , Northampton , Milton Keynes , East London , South London , West London , North London , Centre London and surrounding areas . We are a registered licensed rubbish removals serving in Slough , Gerrard Cross , Windsor , Langley , Iver , Maidenhead , Beaconsfield , High Wycombe , Woking , Reading , Bracknell , Ascot , Sunbury , Watford , Northampton , Milton Keynes , East London , South London , West London , North London , Centre London and surrounding areas . 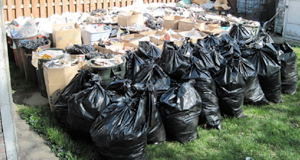 Rubbish Clearance services at affordable price. if you have rubbish to clear and you are looking for someone professional and reliable than look no further and give us a call. We will take care of all your rubbish, if you want to clear your sheds, building waste, tippers & grabs and garden waste. Professional and reliable team offer reliable cost effective rubbish clearance service available 24/7 in Slough, Gerrard Cross, Windsor, Langley , Iver , Maidenhead , Beaconsfield , High Wycombe , Woking , Reading , Bracknell , Ascot , Sunbury , Watford , Northampton , Milton Keynes , East London , South London , West London , North London , Centre London and surrounding areas .